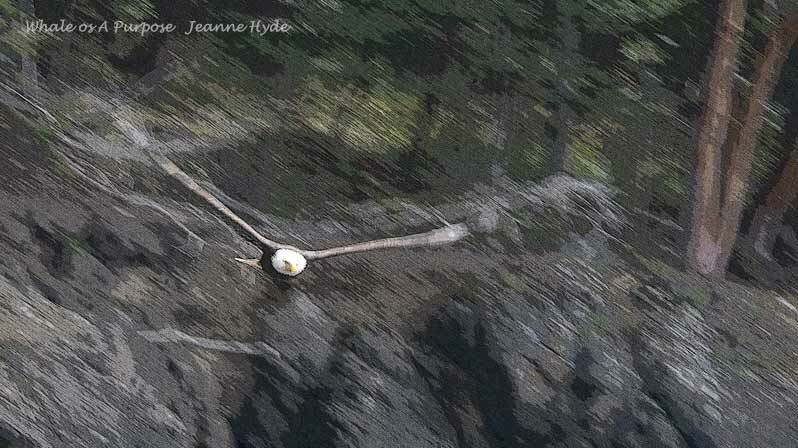 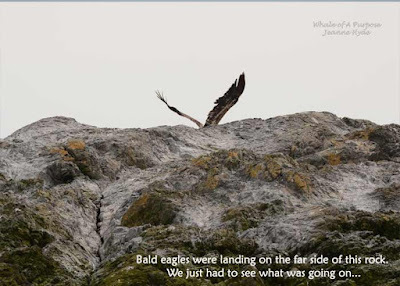 ...it was so low, coming straight toward us and then over our heads! ...and when I continued looking - yikes! 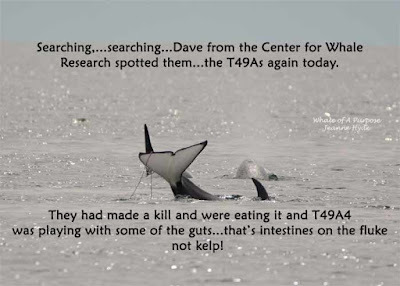 - what had T49A4 been tangling with?!!! ...not life threatening...more like being a rough an tumble kid! 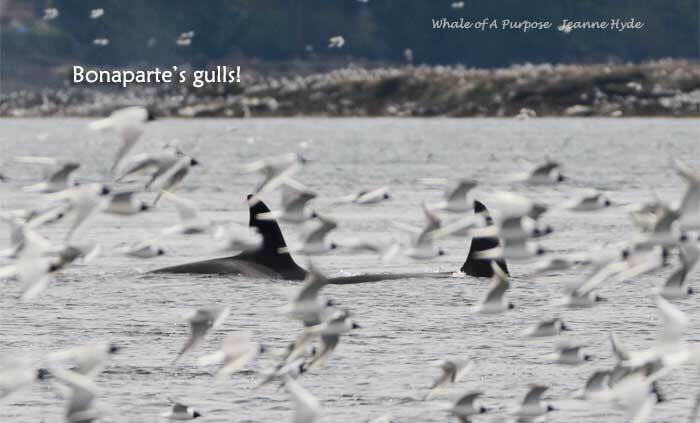 ...Bonaparte's Gulls were thick in Boundary Pass, common for this time of year and to have the whales in the 'thick' of them too! ...what a day...now I had some good images of all of those juveniles from three of the four family groups from 4-15...lots of sorting to do to figure out all those youngsters! 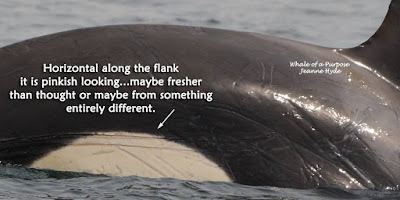 4-15-18 Killer Whales Coordinating Meeting Places and Times? 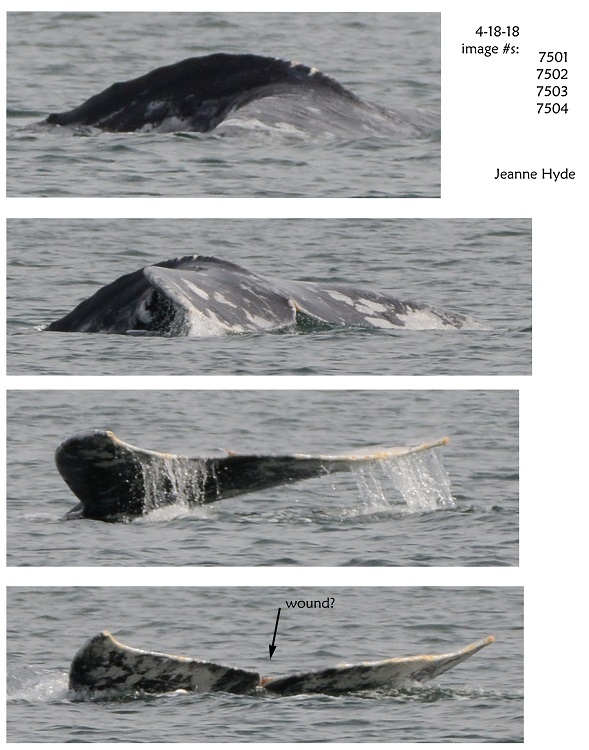 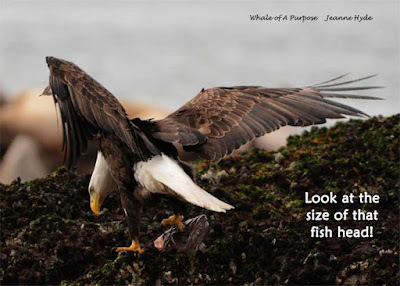 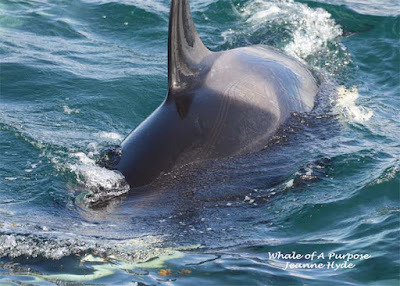 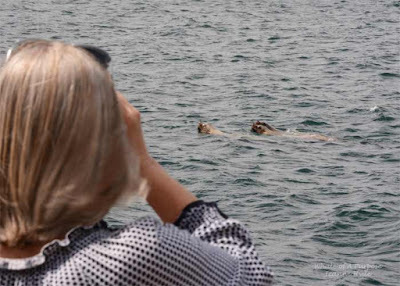 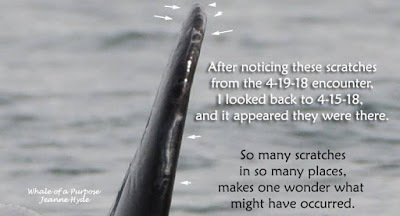 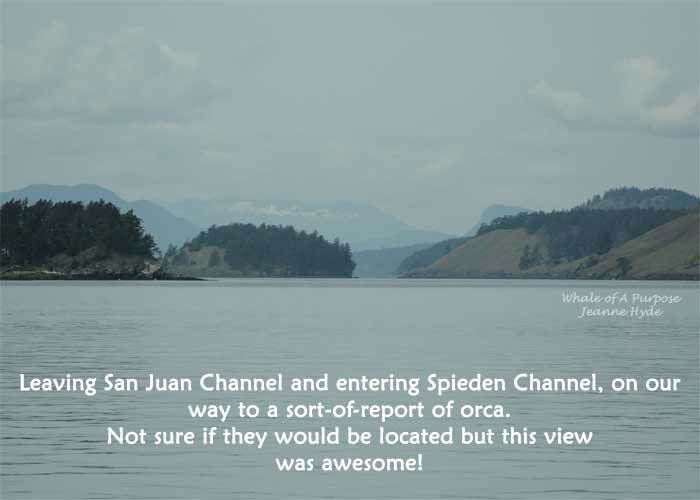 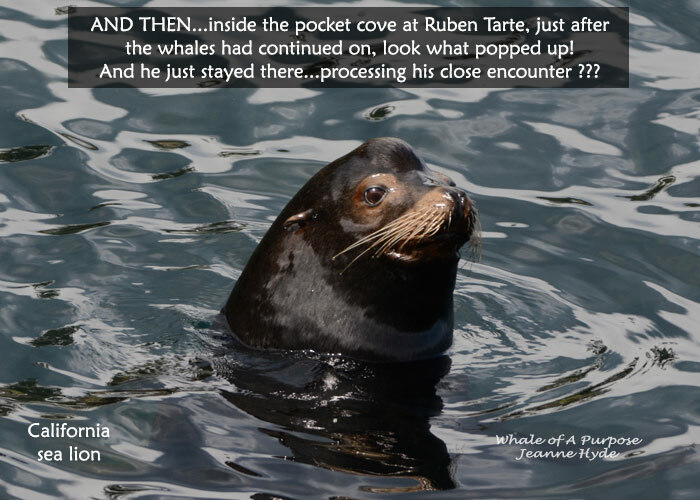 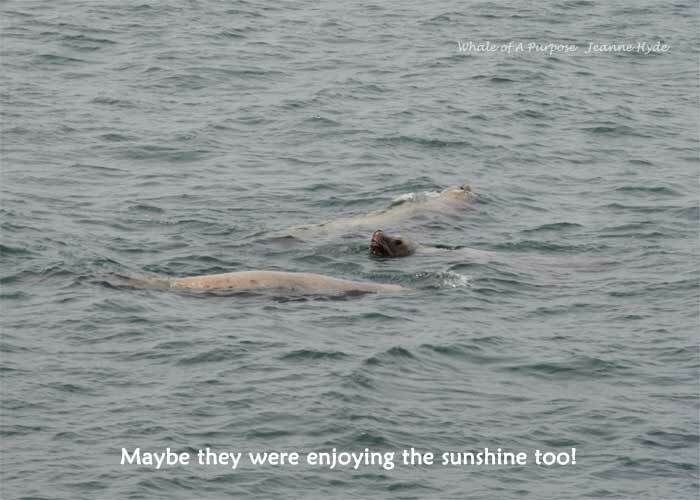 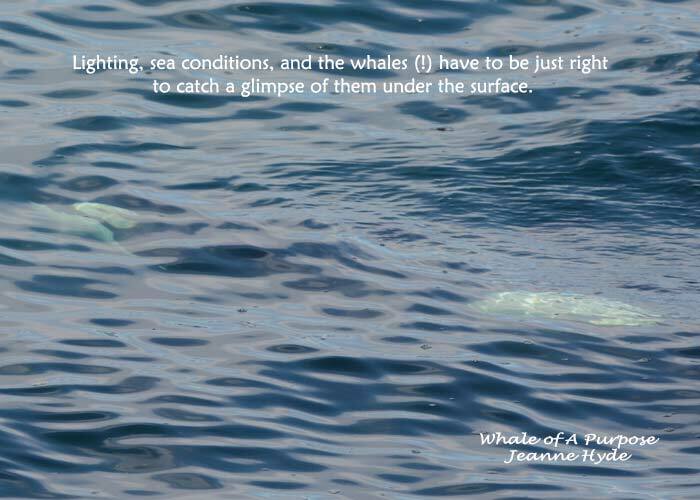 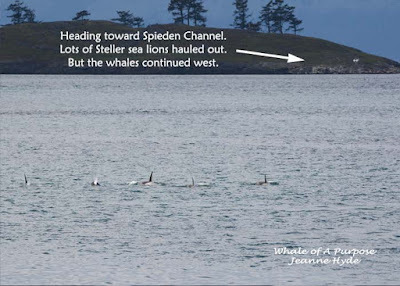 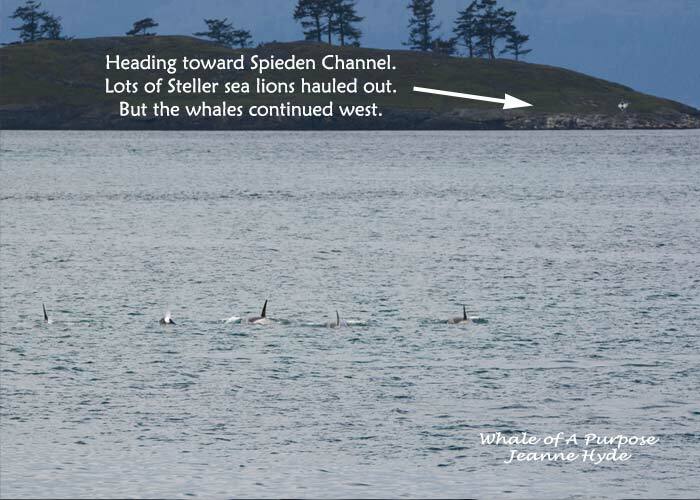 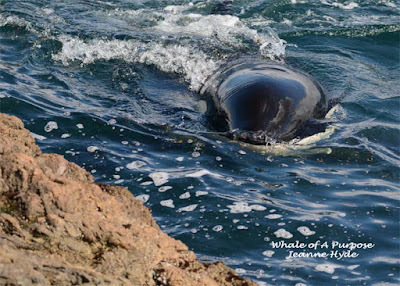 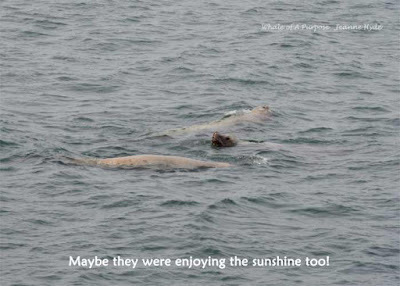 ...there was a report of a possible baleen whale off the the southeast, so we headed that way...well, we ended up being in the right place at the right time...never did see a baleen whale, but one of the captains notified Capt. 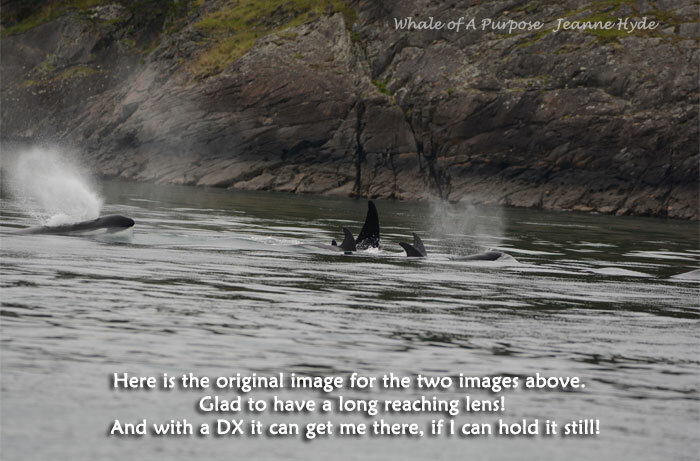 Michael that there was a large group of killer whales headed our way! ...what a day! 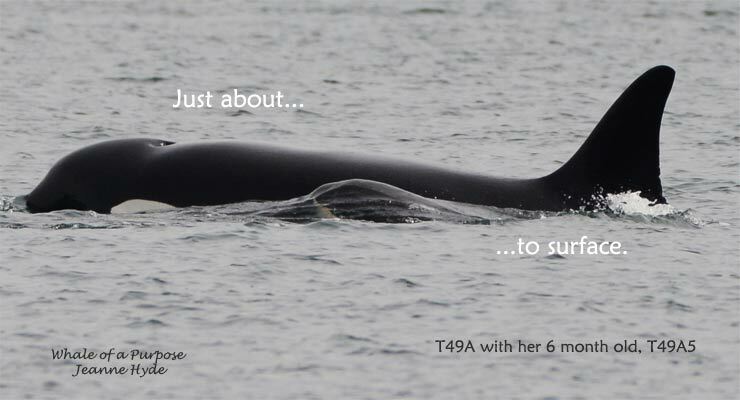 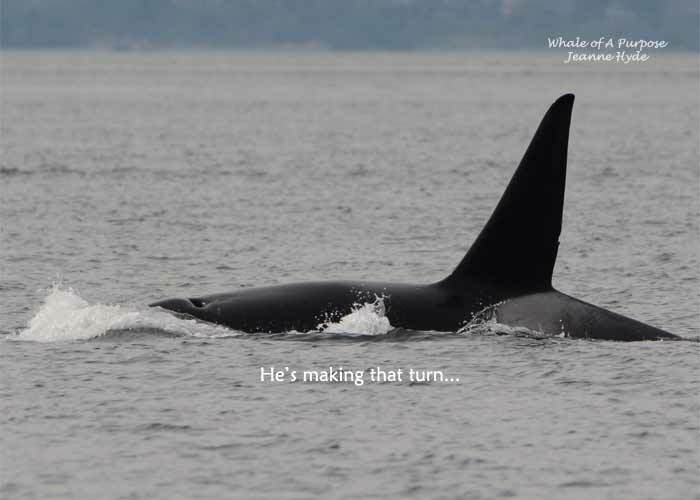 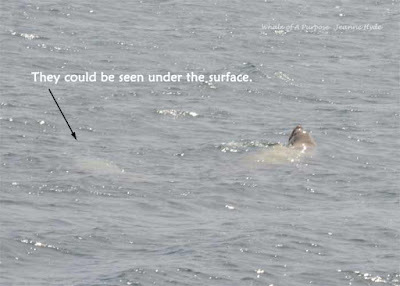 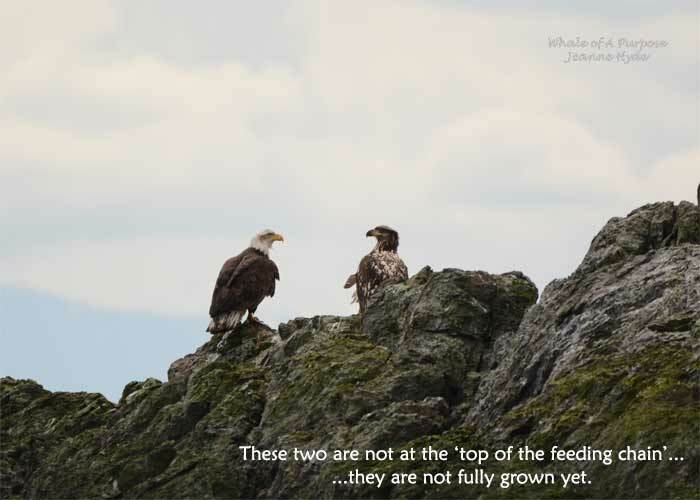 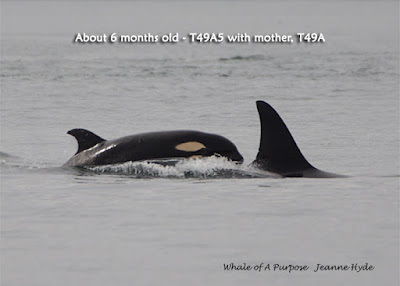 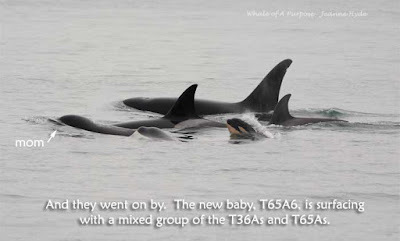 We had heard about the new baby of, mom, T65A...and here that little one was! 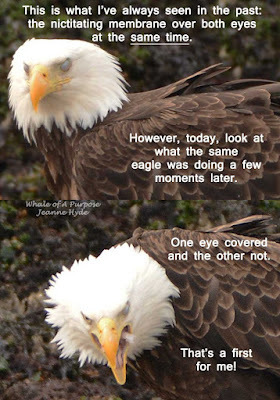 ...was that enough? 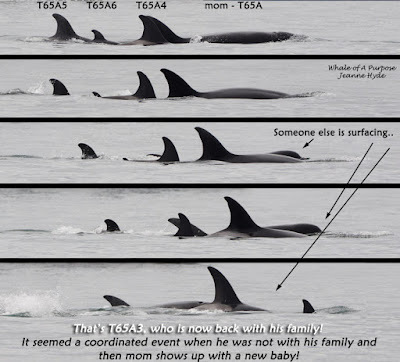 I guess not because...well here is the bigger story: It's about T65A3. 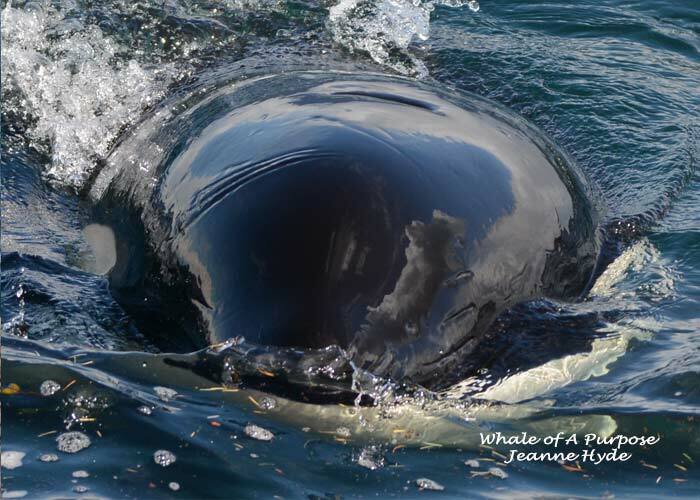 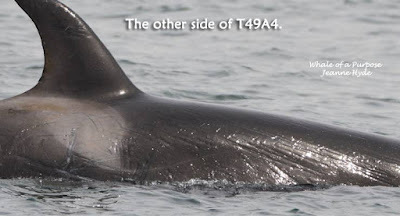 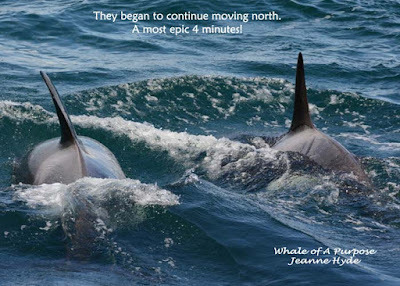 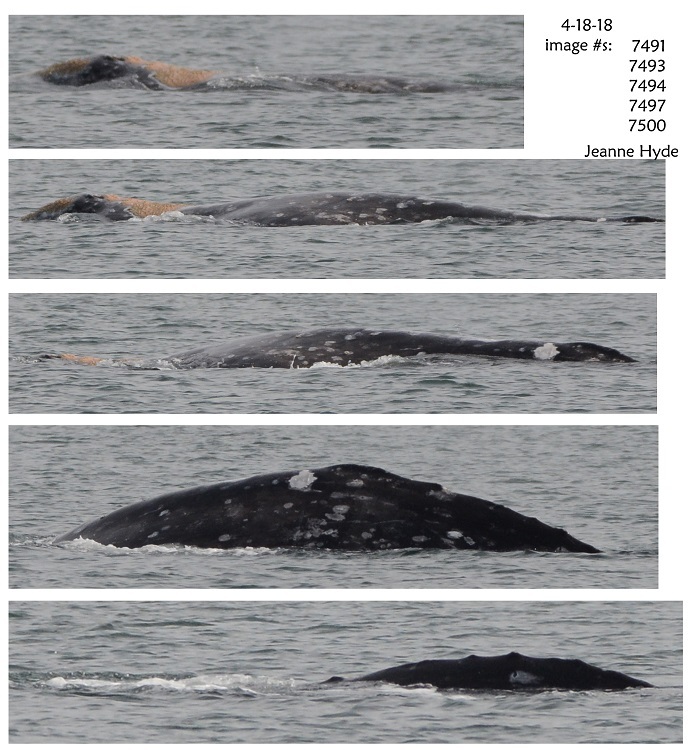 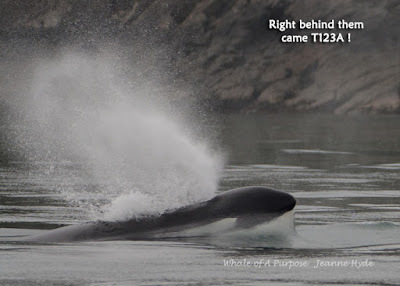 ...each year the T65As have been seen, 3rd offspring, T65A3 has been with the family...but this year, the first time we saw any of the T65As, it was only T65A3 and he showed up with T49C, an adult male and brother of T49A...common for males to disburse when they reach a certain age...however, T65A3 is much younger than expected to have done that. 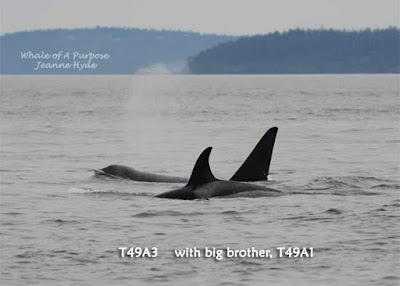 So what were T49C and T65A3, doing together? 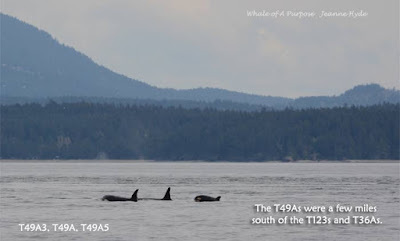 Where were the rest of the T65As? 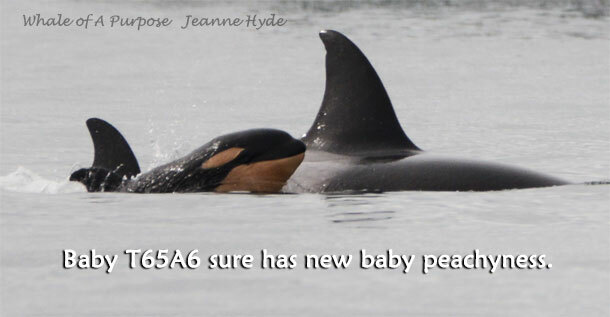 A friend suggested that maybe mom was having a baby so he had disbursed. She might not have realized at the time that she would end up being right! This was yesterday and T65A3 is right in there with all his mother and younger siblings. 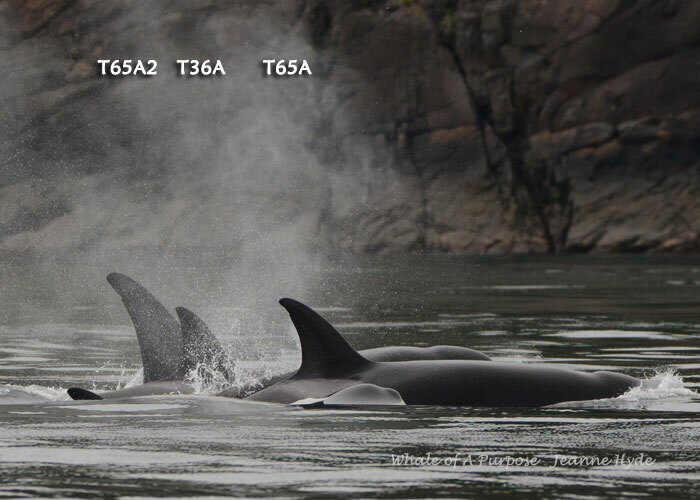 T65A2 was present too, just not in this surfacing sequence. So somewhere between April 6th and April 15th T65A3 got to meet his new sibling! 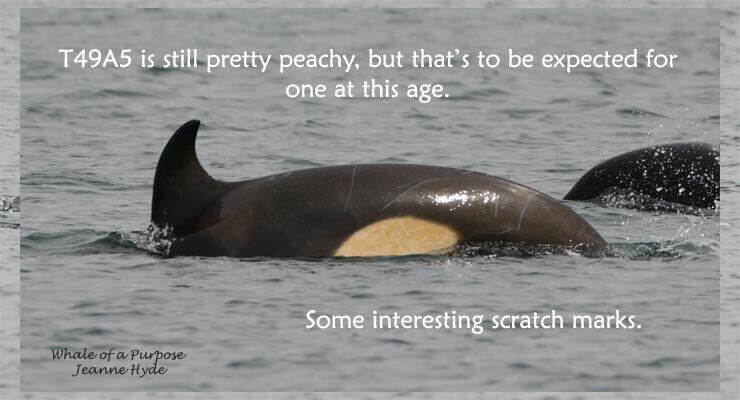 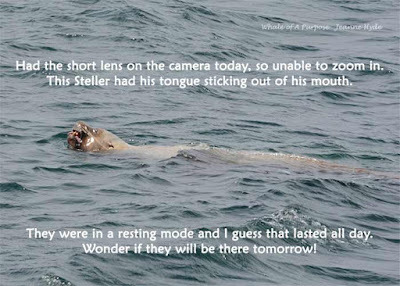 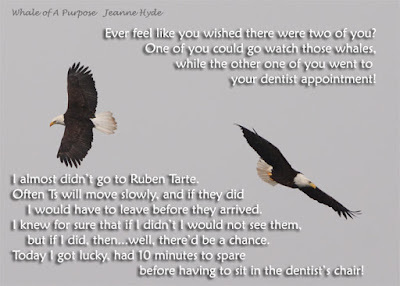 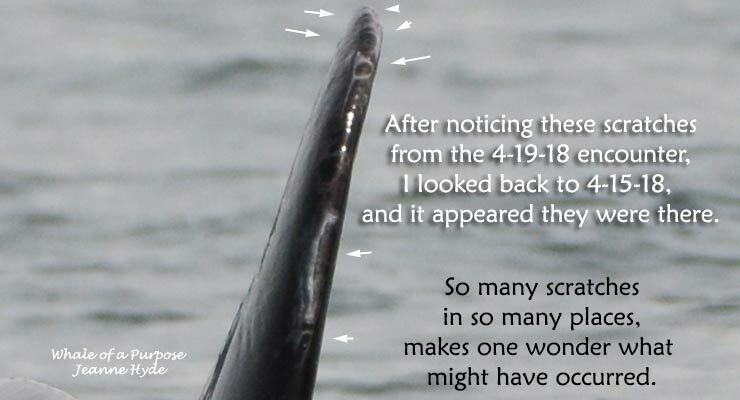 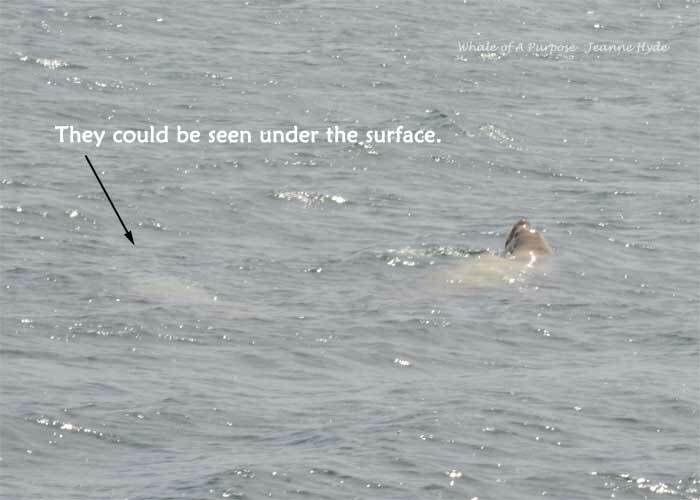 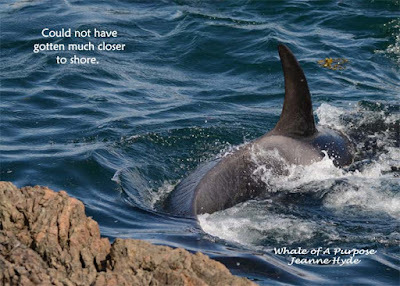 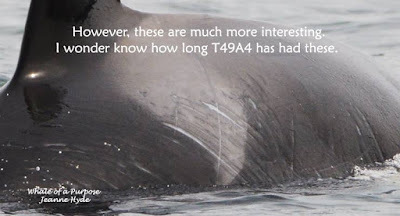 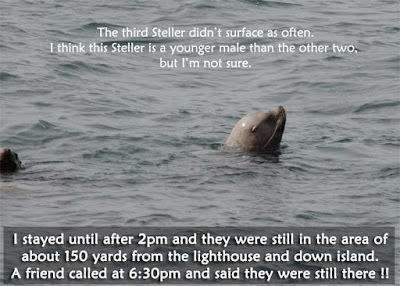 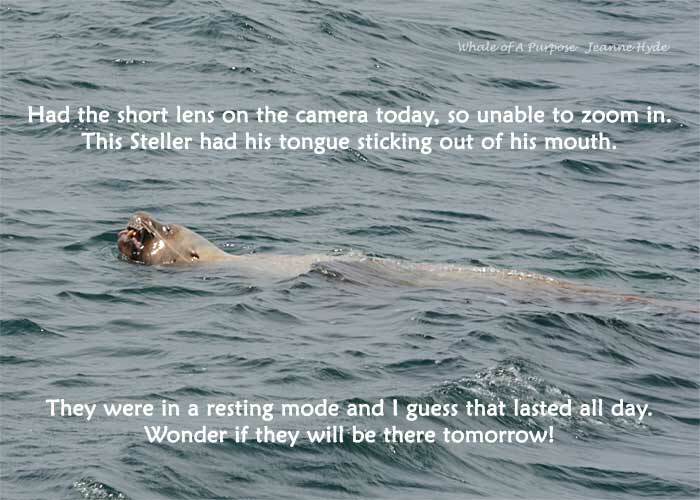 T49C is usually seen either alone or with one other and somewhere between the 6th and the 15th he went on his way - somewhere. 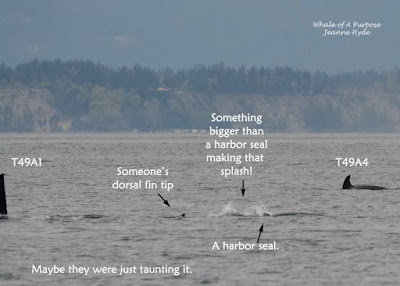 Today the four families T36As, T49As, T65As, and T123s were traveling pretty tight, so not everyone would surface at the same time. 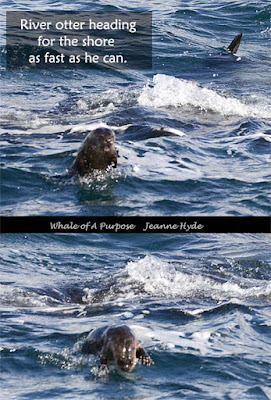 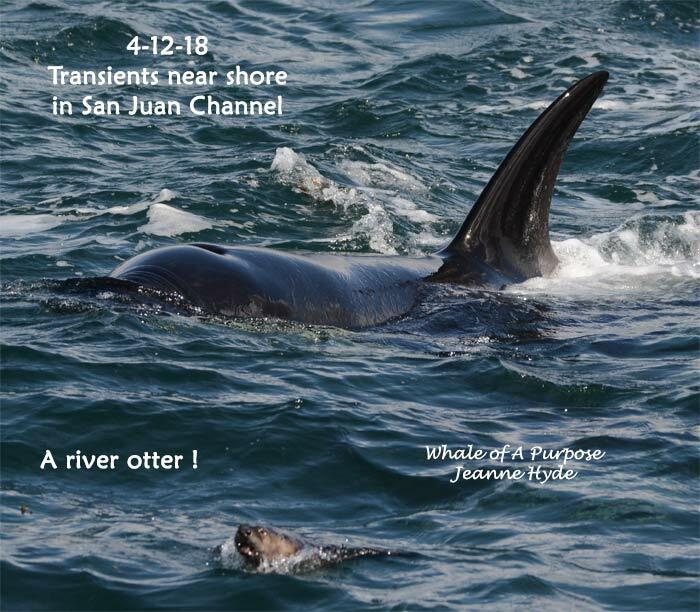 ...more to come, but here are a couple more images from the great encounter we had today...Thanks for the invite and to Capt. Michael, Katie and Elah and all those passengers for wanting to take a trip on the Western Prince today - WOW! 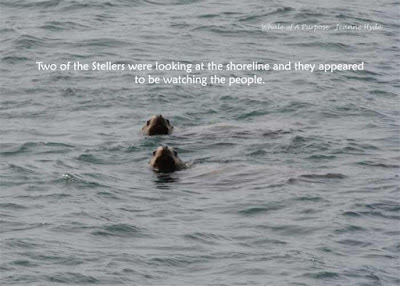 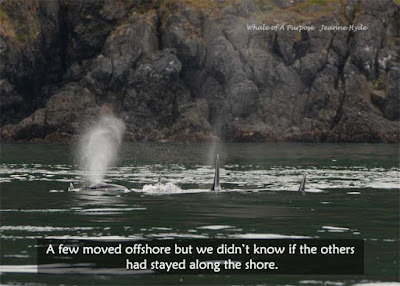 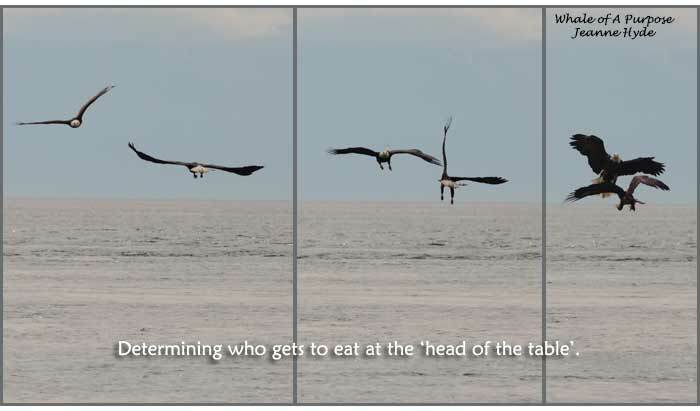 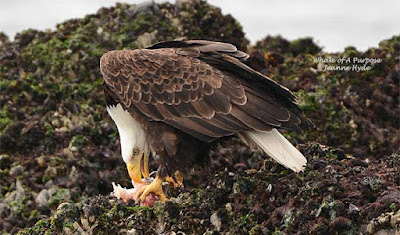 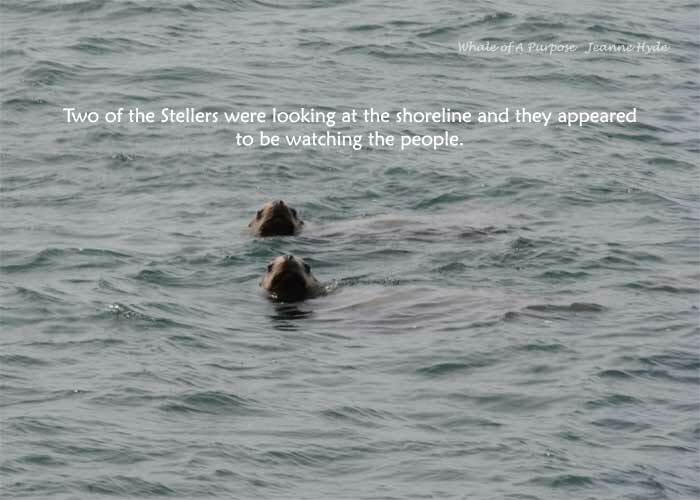 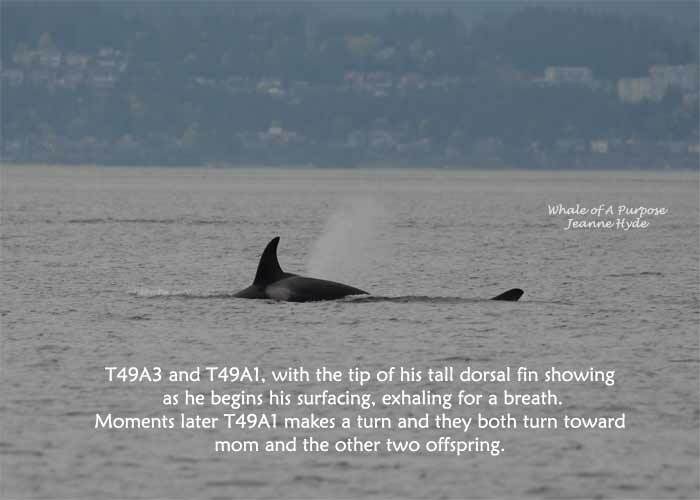 Whether Southern Residents or Transients, they have a complex social structure, much more than most might think. 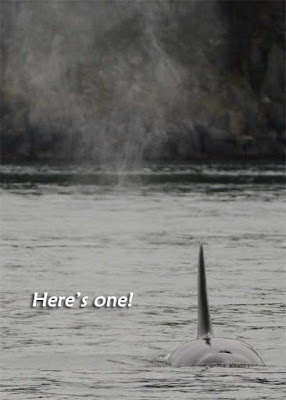 What might have gone on here? 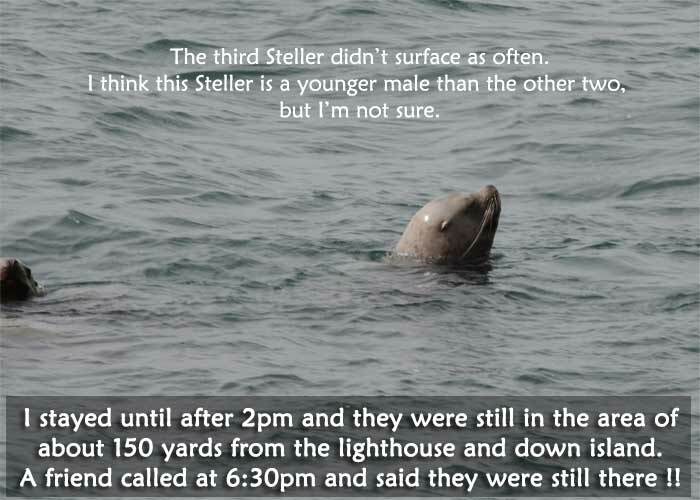 communication, coordination, meeting times and locations...and who knows what else might have been involved in this event...at least that is what I think. ...but this was an event..
...so glad to get a glimpse into their world today. 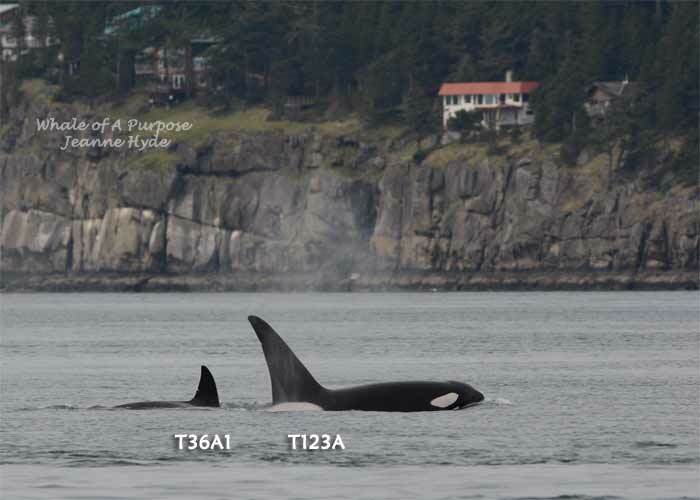 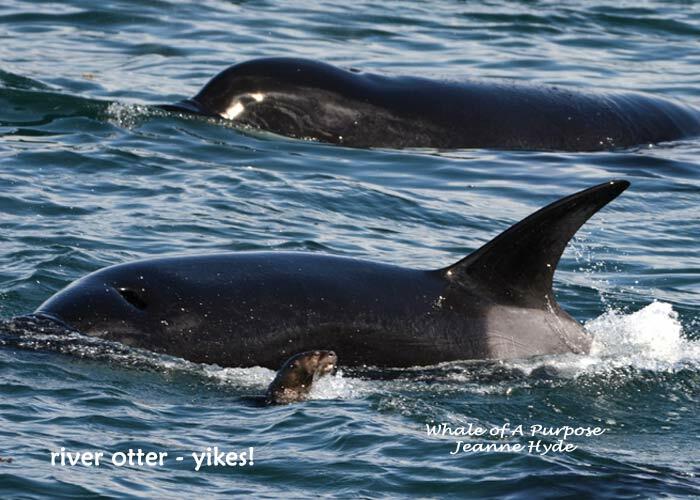 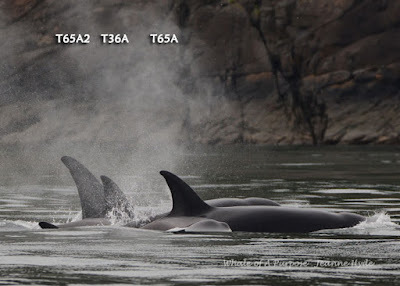 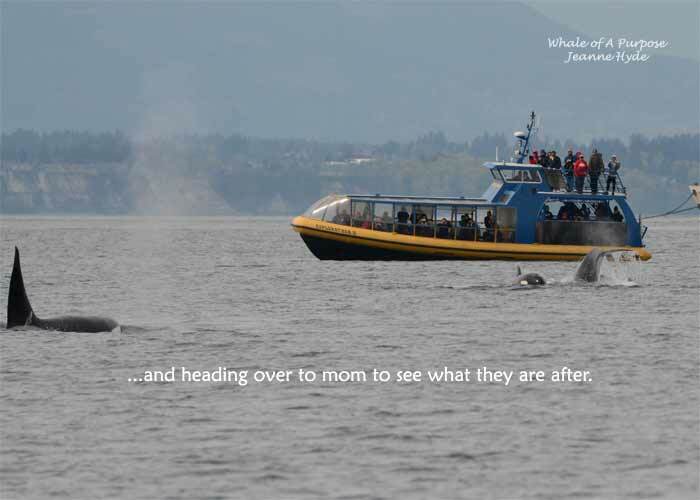 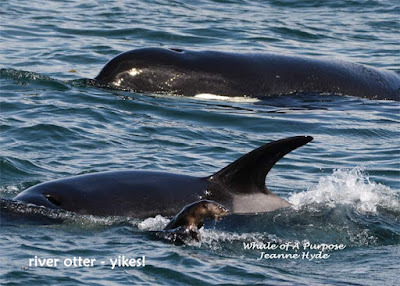 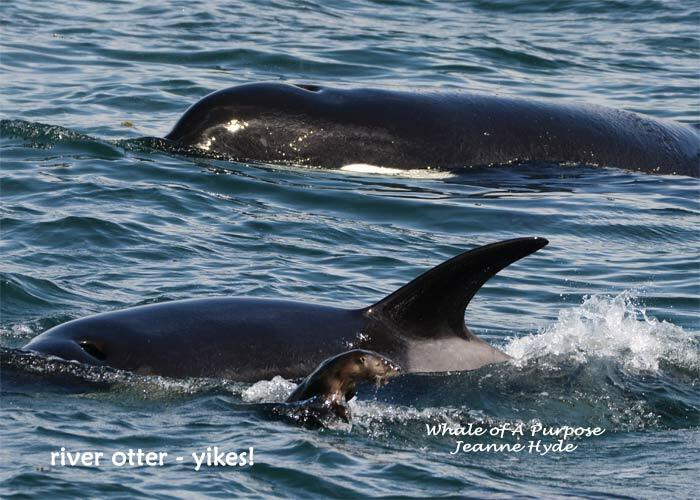 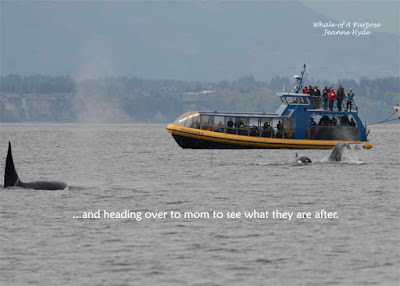 ...and sooooo...when Orca Network posted some images, that were taken by someone on April 10th, of the T137s approaching the T65As and that new baby T65A6 was in the image. 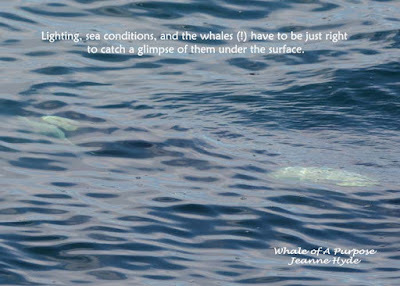 whales coordinating with each other.